You are here: Home / Blog / Featured / What is a Medical Oncologist? Medical Oncologists specialize in diagnosing and treating cancer with internal medicine. An oncologist is a doctor that treats people with cancer. There are three main types of cancer doctors: medical oncologists, surgical oncologists, and radiation oncologists. Medical oncologists specialize in diagnosing cancer and in prescribing and administering several types of cancer treatments, including chemotherapy, hormonal therapy, biological therapy, and targeted therapy. These treatments are typically administered intravenously or orally and are designed to destroy cancer cells and prevent them from repairing themselves or reproducing. Medical oncologists train in internal medicine—the general prevention, diagnosis, and treatment of adult diseases—but have also received special training oriented toward cancer care. 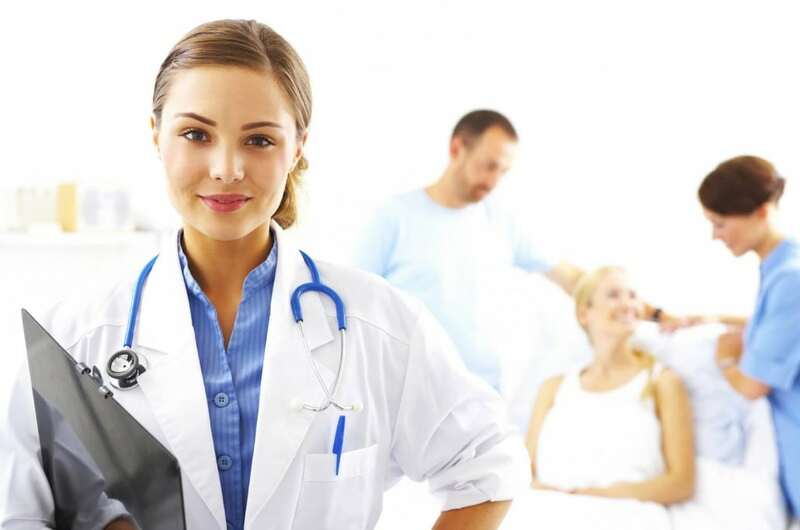 Medical oncologists are typically the primary doctors for people with cancer. Cancer care requires a comprehensive team of specialists, and medical oncologists are usually responsible for coordinating the care of each patient between the many doctors, specialists, nurses, and medical staffers involved in the administration of cancer care. The discipline of medical oncology was first established in 1971 by the American Board of Internal Medicine. Today, more than 6,000 medical oncologists have received certification in the United States. The proper and effective care of a cancer patients is extremely complex and requires extensive medical understanding and high degrees of specialization and collaboration. The medical oncologist helps to coordinate among the various specialists while also helping to diagnose and plan treatment for the immediate medical needs of the patient. Since complications are very common among cancer patients, due to the effects of the disease and its treatments, the medical oncologist must be well versed in the treatment of infectious diseases and skilled at collaborating with infectious disease specialists. In contrast to radiation oncologists, who are highly specialized in the treatment of cancer with radiation therapy, including external beam radiation therapy, stereotactic radiosurgery (SRS), stereotactic body radiotherapy (SRBT), and HDR Bracytherapy), medical oncologists work with cancer patients throughout the care process, regardless of the care plan or treatment regimen the patient chooses to undergo. Medical oncologists work closely with physicians of many different disciplines during each step of the cancer care process, including radiation oncologists, surgical oncologists, oncology pathologists, and with many different care team members in the fields of diagnostic imaging, nursing, psychology, neurology, pediatrics, rehabilitation medicine, and palliative care, as they apply to the treatment of a patient with cancer. Helping to monitor and manage symptoms of cancer or side effects by prescribing medicine or coordinating with other specialists. https://treatcancer.com/wp-content/uploads/2013/04/nurse-1.jpg 1062 1600 Southeast Radiation Oncology Group, P.A. https://treatcancer.com/wp-content/uploads/2015/08/SERO-logo-PNG-450x174.png 2014-03-11 18:20:052018-04-12 15:03:00What is a Medical Oncologist?